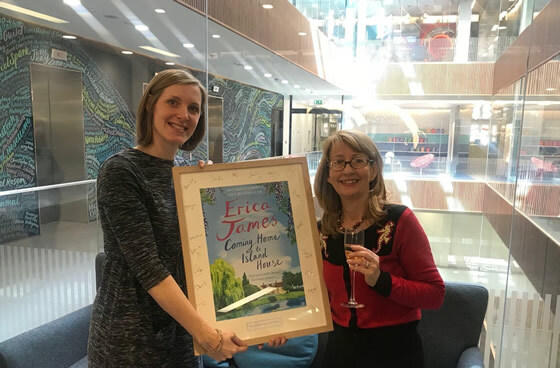 Erica being presented with a framed copy of the artwork for Coming Home to Island House by Harriet, her editor, at the Orion offices in London. Coming Home to Island House is published in paperback on 31st May 2018. Coming Home to Island House is an enchanting tale of one family coming together and finding their way.